Bron Coucke is proud to present its cup-shaped device, the turn'up. This is a complete tool, ideal for shaping fresh vegetables into ingenious cups in a few simple operations. It offers unlimited possibilities to product original, and appetizing presentations. Whatever the firm and fresh vegetable you choose, begin by cutting slices of equal thickness. The thickness will constitute the height of your cup. Hold the turn'up in the middle without interfering with the top of the device. Line it up with the vegetable and press the middle down hard in order to pierce the slice. Then, twist the tool a quarter of a turn to finish the cutting operation. Remove the off cuts, which now surround the tool; and just like a syringe, you simply push in order to eject the produce. And so on. Simply do the same with the other slices to prepare your produces. Next, remove the safety cap from the cutter blade and insert the slice with the cut side facing upwards, keeping it flat. Ensure that the slice is parallel with the cutter blade. It is important to press on the disc with the palm of your hand up to the edge of the cutter blade. Remove the produce carefully And now, all you need to do is remove the middle cylinder that has been cut out of the slice, using the end of a knife or fork to obtain your cups. The large version is 50 mm in diameter, while the small version is 40 mm. Although the turn'up is suitable for most vegetables, these must be fresh and firm. You don't need to peel the vegetables to shape your cups; if the vegetables are peeled, the waste may be used for the preparation of fillings and garnishes. The cups may be enjoyed raw, boiled, or fried, depending on the vegetables used. If wanted, the cups can finally be cut out at the bottom to form rings or round slices of fruit or vegetables. The turn'up can also be used as a round pastry cutter by removing one of the two circular blades. For your safety, ensure that when not in use, the blades are always covered by the safety caps, and be sure to handle them with care. The turn'up is easy to dismantle either to wash regularly after use, or when required to sharpen the blades. Do you want an easy way to make fun and creative dishes to impress guests? The turn'up vegetable cutter from Bron Coucke shapes vegetables into cups, cutting through the produce and ejecting the interior cylinder for a beautiful, versatile cup ready to be filled! Whether raw, cooked, fried, or otherwise prepared for a tasty treat, the cup is sure to gain attention at the table and give your dishes a flair of fun! 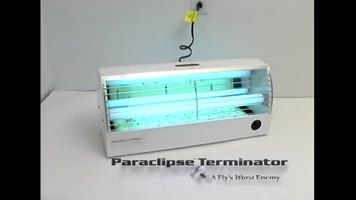 Flies threaten the sanitation of your facility, but with the Paraclipse Terminator, they're easy to eliminate! Watch this short video to find out how the unit works and why it's cleaner, safer, and easier to use than traditional glue boards. 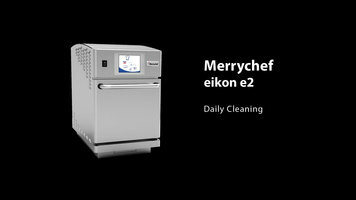 Learn the daily cleaning procedure for the Merrychef eikon e2 combination oven by watching this informative video! Troubleshooting with the 1600 series Impinger ovens from Lincoln. This video offers an overview of diagnostic messages as well as what you can do to ascertain exactly what your oven needs done!